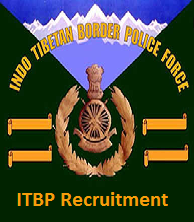 ITBP Jobs Recruitment Notification 2018.Indo Tibetan Boarder Police Force (ITBP) inviting applications for the positions of Specialist doctors and GDMO in ITBP on contract basis.Interested and Eligible candidates can apply for the positions. Applicants must be completed medical with relevant experience from the recognized organization/ University. Applicants maximum age limit is 67 years. Selected candidates will get pay per Specialist is Rs.85,000/-. And for GDMO is Rs.75,000/-. On 21st October 2018 with relevant essential documents to candidates can attend the interview.